Currumbin RSL holds a mid-morning service at its cenotaph area on ANZAC Day. This service is a repeat of the Dawn Service on a smaller scale. 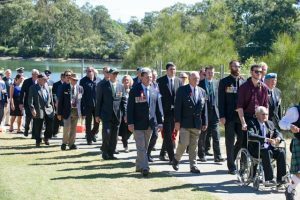 Just as reverent and specifically for Currumbin RSL Sub-Branch members and their families. please note there is limited seating. This information may be subject to change. 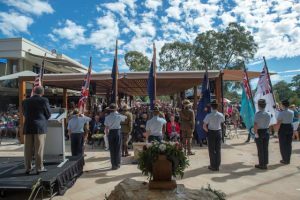 Please visit the Currumbin RSL ANZAC Day Dawn Service Facebook Page for up to date changes which will be updated in real time. Those who are incapacitated or need assistance, please advise our staff who are happy to assist with your needs. Intoxicated persons will not be permitted to enter the club and responsible service of alcohol practice will apply. Dress regulations apply and Management reserves the right to refuse entry to the Club.